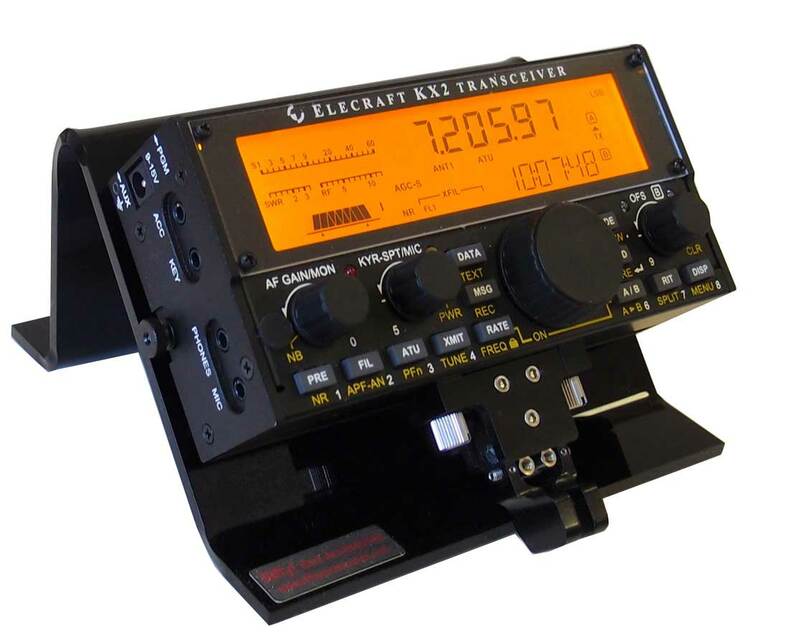 Heavy Duty Elecraft KX2 Desk Stand. Custom designed to perfectly fit the KX2, providing an ideal angle for viewing the display and working the controls. Works equally well for paddle and non paddle users. 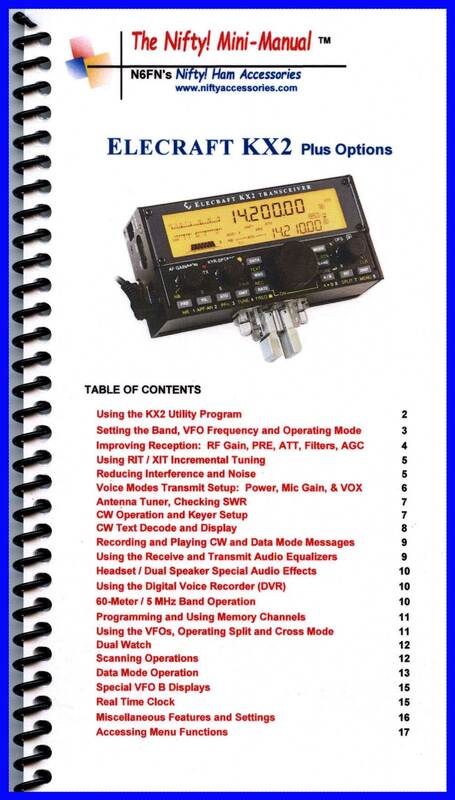 The KX2 is supported by inserting shoulder screws into the two nutserts on the back of the radio. When placed on the stand, a shelf is not required, thus avoiding any interference with the radio's built in speaker or keying paddles. Rubber feet on the stand prevent the radio from moving around while keying. Designed to Perfectly fit the KX2. 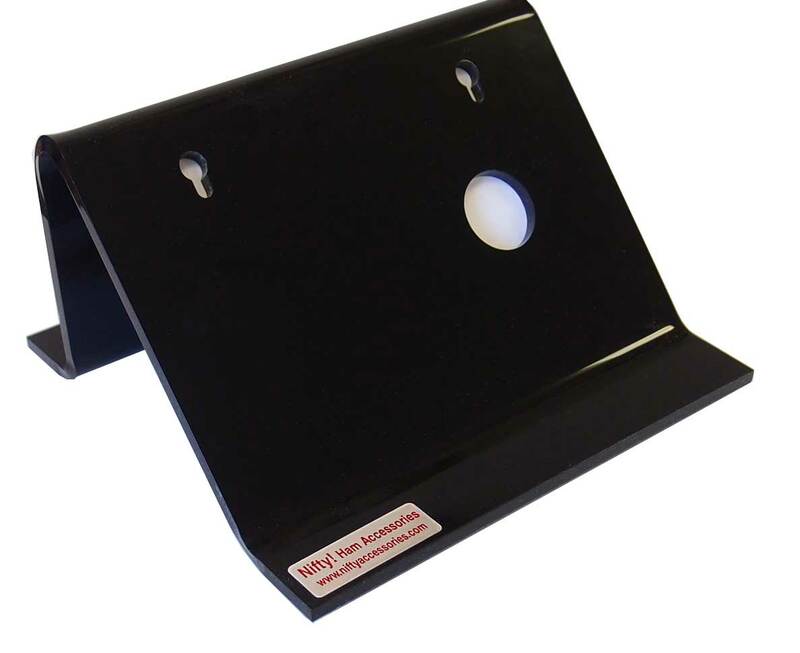 Size: For those that may want to have a shelf or something else over the radio when it is mounted on the stand, the overall combined height is less than 4.25 inches. The stand by itself is 3.2 inches high. The depth is 5.4 inches. 6 IN STOCK. Usually ships in 1 - 2 business days. Press the Add to Cart button below to purchase.